In the past few years real estate in Tunisia has been in great demand among foreign buyers and investors, as the local market was recently opened up to foreigners. Now this country with a favorable mild climate and great prospects for rapid economic development has not only become a second home or a cottage abroad, but also is a long-term investment tool that is able to protect and increase the capital. How can a foreigner buy real estate in Tunisia? In order to become an owner of a property in Tunisia is quite simple - you need to have only the desire and financial means. Moreover the necessary funds are minor, since the property prices from the owners or commercial sites by the builders in Tunisia are quite affordable, even lower by European standards. In addition, the future owner of real estate in this country or a property in its capital, need to obtain a special permission from the governor in order to purchase the lodging. The only restriction for investors from abroad - it is the purchase and sale of agricultural land in the Republic of Tunisia. 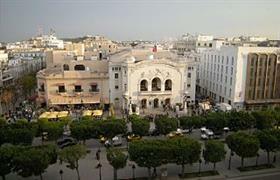 How real estate in Tunisia attracts buyers? Tunisia - quite a young market. And this is the thing that attracts private buyers and major real estate investors. Individuals choose the so-called resort accommodation, but the big players are playing for high stakes – investing in the land and actively engaging themselves in the construction of new housing and commercial buildings. Indeed Tunisia is increasingly popular destination for luxury and at the same time inexpensive vacation. Europeans who prefer to spend their holidays in this country are increasingly becoming owners of cheap houses on the sea in Tunisia. Property owners in Tunisia always win. After all they receive high-quality, modern house by the sea on a very low price. European residents can easily reach the American capital Tunis or other cities of the country, because of its proximity to Italy. Another big advantage is that spending their comfortable, long-lasting and inexpensive vacation, foreign owners of property in Tunisia can let the property for a short term lease, earning capital gains - local laws do not prohibit it.